1. 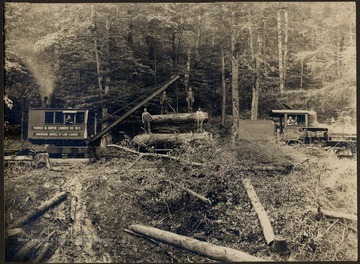 Lumber Mill at Curtin, W. Va.
Lumber Mill at Curtin, W. Va.
Log Loader and train engine transporting lumber. 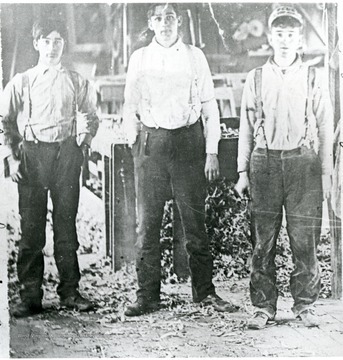 Four men standing on logs. 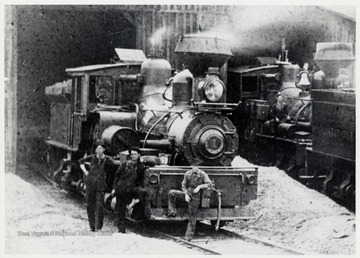 Three men in front of a train engine. 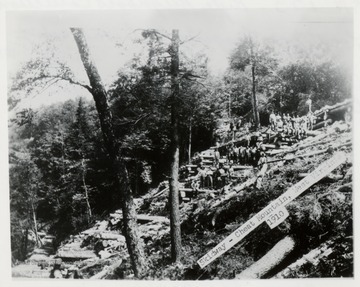 Large group of men posed on the Skidway. Shay No. 1, 'Old Barney' (the original #1) at the Spruce Shop. 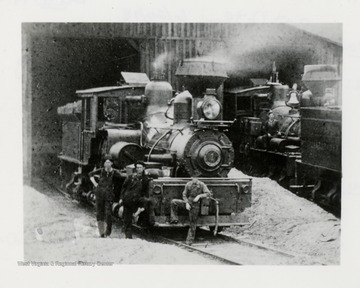 Men standing in front, on, and around the locomotives. 7. 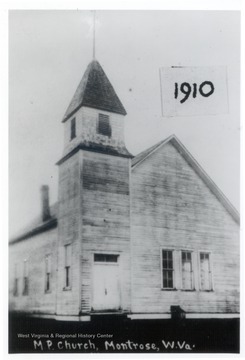 Methodist Protestant Church, Montrose, W. Va.
Methodist Protestant Church, Montrose, W. Va.
M.P. Church located in Montrose, W.Va.
8. Bee Hive Coke Ovens at Mine No. 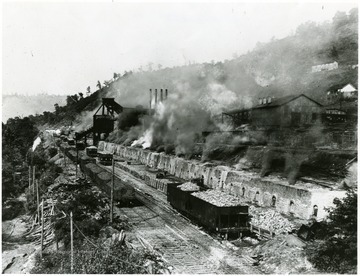 63, Monongah, W. Va.
Bee Hive Coke Ovens at Mine No. 63, Monongah, W. Va. This is a view of the Bee Hive Coke Ovens at Mine No. 63, Monongah, W. Va.
9. Bee Hive Coke Ovens at Mine No. 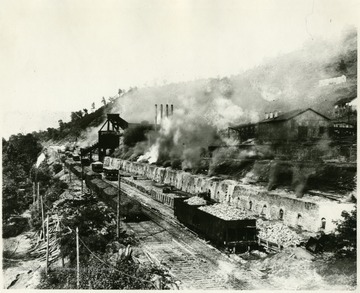 63, Monongah, W. Va.
Bank of Bee Hive ovens in operation at Mine No. 63, Monongah, W. Va.
10. 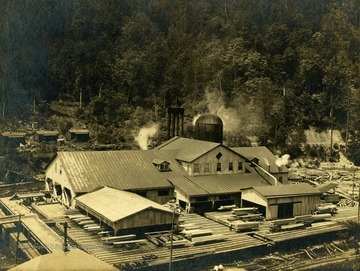 Portion of Chesapeake &amp; Ohio Railway Passenger and Express Depot in Alderson, W. Va. 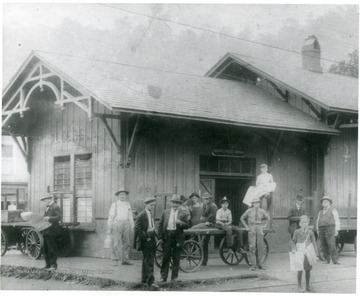 Portion of Chesapeake &amp; Ohio Railway Passenger and Express Depot in Alderson, W. Va.
11. 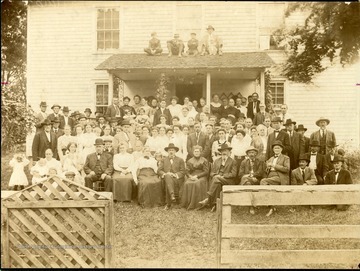 Last Reunion of the Prince Family in Beckley, W. Va.
Last Reunion of the Prince Family in Beckley, W. Va.
A group portrait of the Prince Family members who attended the last reunion at Beckley, West Virginia in 1910. See Beckley, USA by Harlow Warren, page 402 for identification. 12. 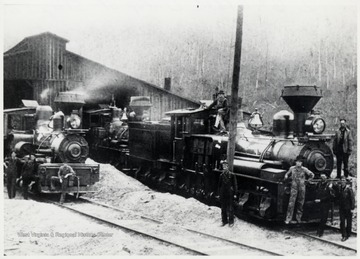 Lockard Shop Boys at Bulltown, W. Va.
Lockard Shop Boys at Bulltown, W. Va.